Mr. Clean DJ is a premier DJ service company located in the Baton Rouge, Lafayette and The New Orleans Area, providing clients with clean, family-friendly music for social events. Mr. Clean DJ does not only play 100% Clean music; we provide a musical experience of dancing, laughter and fun. Mr. Clean DJ helps families create memories that will last a lifetime. Mr. Clean DJ believes that music should be enjoyed by everyone. Music is the universal connector of all people. We feel the beat. We dance, we laugh, and we enjoy each other in the process. To raise the standard means to create a culture that embraces unity, love and self respect. Mr. Clean DJ is set to blaze a trail for those seeking an amazing DJ experience while raising the standard, and keeping it clean. Mr. Clean DJ helps you to share your special day with family and friends by telling your own personal story through music. After a face to face sit down interview, We learn your story and create a musical montage of songs that are personally tailored for you. We provide professional, luxury style service while providing clean music with a family-fun element to your wedding, reception or private event. We only play the music YOU want. Your wedding and reception should be the ultimate celebration turned party, and that is what we provide for your special day. Mr. Clean DJ provides the best corporate package for businesses who are looking for a professional music experience for their events. Mr. Clean DJ provides music entertainment for all ages and genres of music. From Kenny Rogers to Al Green. We've got you covered. Mr. Clean DJ recognizes a need for clean music and fun in today's youth organizations. The faith based community struggles to adapt to the ever changing trends in music and pop culture. Mr. Clean DJ is the bridge between our children and the music they listen to. Our mission is to promote clean, family values through our core message of self-respect. As our motto states, Raise the Standard. Keep it Clean. Hear what people are saying about the Mr. Clean Dj experience! "My fiancé and I worked with Mr. Clean DJ for our wedding at the LSU Burden Center's Orangerie. We had a wonderful experience with him. I was the type of bride that was unsure about the type of music I wanted to play to please the crowd. Mr. Clean DJ was on top of everything and made us feel comfortable going into the wedding, making our day flow so smoothly. We had a diverse crowd, merging two families as one and he created an ambiance that went right along with my wedding's Southern Belle Theme. He was a wonderful emcee and got everyone hyped up to dance. I would recommend Mr. Clean DJ to anyone looking for a DJ that can accomodate your requests, has a good feel of the crowd, and makes sure everyone has a good time!" 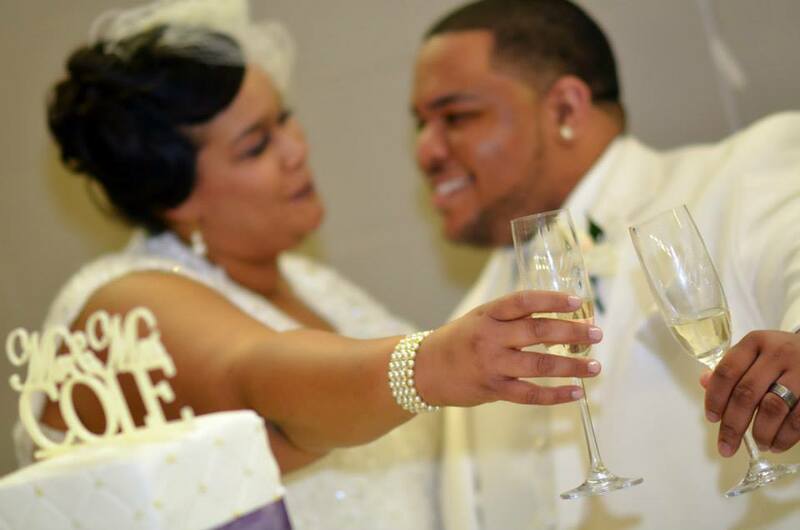 - Mrs. Robyn Bently, June 2014 Bride. "Mr. Clean Dj is the best hands down. This is our family DJ...Weddings, parties whatever! It's so refreshing to have a DJ who values family fun!" - Letrez Myer Cole, Nov 2013 Bride. Our DJ Services are set with you in mind. We have a package of service that fits your individual event's needs. Contact us for a quote if you are looking for an even more tailored experience. Thank you raising the standard with us! When you are planning an event, you want to make sure that every moment is special. Choosing the right DJ can take your experience to a whole new level. At the end of the day people will remember 2 things, the food and the DJ. This is actually what inspired us to start Mr. Clean DJ. My wife Tanya and I have been married over 7 years ago. We wanted our reception to be a big party, and it was just that thanks to our DJ! We had so much fun, nobody wanted to leave! People still talk about how much fun they had at our wedding, and that is what what we want to offer you! The chance to have the best night ever, full of family, friends and great music! Full DJ Setup! Enough Sound to fill any event!) 4 Speakers plus 2 Monitors , Full DJ Console, Cordless Mic and Projector screen not included. We know that when you are planning a wedding, the last thing you want to worry about is the DJ. We want to make your day go as smooth as possible. We offer flat rate services that take care of your entire event. We also provide hosting and crowd participation. My wife Tanya is an excellent host and certified Zumba Instructor. She offers choreography for you and your spouse, or the entire wedding party! We have cordless microphones so the coordinator can move freely if need be. We provide any special announcements, introductions of bridal party etc. If you need a separate speaker set up in a room, we've got you covered! This is a picture of a speaker setup nicely behind a curtain at the Marigny Opera House in New Orleans, LA. (Where Solange got married) Sorry, Violinists not included. Need a cordless microphone setup and speakers for your event, no problem! We can provide a customized system that fits your needs. We provide sound and music for many corporate and non-profit events. We always keep it clean with the perfect music mix for all ages and cultures to enjoy! We show up professionally dressed and ready to work! Providing music for your next sporting event is no problem! We DJ for Zumba, Crossfit, Meditation and Yoga classes! Tanya and I doing 'Zumba and Meditation in the Park' for the Gardere Initiative. Teaching all the kids to "Let it Go"
Aubrey Jones aka Mr. J’ai has been entertaining audiences with various genres of music for over 20 years. Mr. J’ai first started deejaying in the early 90s, while attending Baton Rouge High School at WBRH FM 90.3 and KBRH AM 1260, spinning jazz, classic soul, and rhythm and blues records live on the radio. Mr. J’ai continued his radio deejay endeavors at several radio stations between Baton Rouge, LA and New Orleans, LA including: 93.7 JAMZ, Old School 102.9, and KQXL 106.5. In between his stints on the radio, J’ai deejayed and emceed many house parties, events, and club nights. Mr. J’ai has also served as the resident deejay and emcee/announcer at many schools in the Baton Rouge area, and he has performance, writer, and production credits on numerous independent hip-hop albums. His particular ear for music (old school and new school across genres), smooth blends, and thoughtful mixes command listeners’ attention whenever he is on the turntables. Mr. Clean DJ service and Mr. J’ai is the perfect mix for any musical function. Ontario "OT" Griffin is a musician, DJ and Entrepreneur with over 15 years of experience performing live music in various genres. He is a recent graduate of Full Sail University with a Master's degree in Entertainment Business. (EBMS). OT brings with him years of experience and a knack for understanding what makes people move. " I love reading a crowd. It's the best way to get a feel of the type of music I need to bring to the scene." OT is the Founder and Executive DJ of Mr. Clean DJ, and is ready and willing to serve you for any of your entertainment needs. Join him to help Raise the Standard, and Keep it Clean.